America's favorite dog comes to pet-friendly Wagtail for some rest and relaxation, but Holly quickly discovers that this perfect pup is a total scamp who takes every opportunity to run off and misbehave. 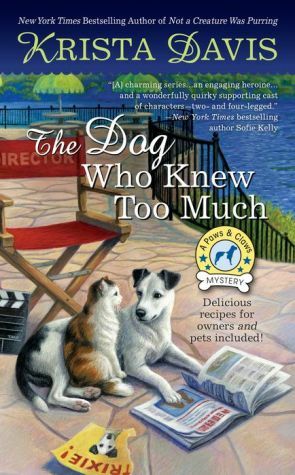 During an outdoor treasure-hunting game, the star dog and Trixie, Holly's beloved Jack Russell terrier, stumble across a dead body. Holly has more than murder to worry about, though, when a man shows up after reading an article featuring Trixie in a magazine and claims that he is the dog's rightful owner. Holly will need to prove that she is her pup's only parent and catch a killer to restore peace to her pet-loving happy place.